I’ve been reading a lot about the difference between resolutions and intentions lately. Usually the author advocates for one over the other, but I believe that they are both valuable. In addition, I’ve thought about it and determined that goals and resolutions aren’t necessarily the same things. Here’s how we can use resolutions, goals, and intentions to help us succeed. Let’s start with resolutions. Many times, resolutions are things that we want to do. 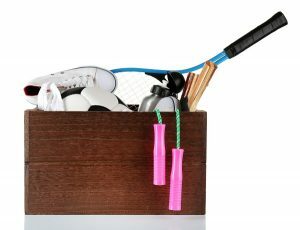 For example, I could make my New Year’s resolution “I will exercise three times a week.” It’s a resolution that goes on my To Do List. My goal would be the reason why I want to exercise three times a week. It’s important that our goals resonate with our hearts. I talked about goals at the beginning of the month and you can read that blog here: https://kathystoddardtorrey.wordpress.com/2017/01/03/creating-goals/. For this example, let’s say that my goals are to maintain my weight and be able to stand up from the floor while holding my granddaughter. She was four months old when she visited for Christmas, and she weighed about 15 pounds. I’m including a lot of squats in my exercise routine! Both resolutions and goals are useful in getting us where we want to go. Now let’s add an intention. An intention is a guideline for making decisions. I like to think of it as the ruler that we hold up to any decision to see if it is in alignment with our goals and values. For example, my intention this year is to lead a healthy life, both emotionally and physically. Any time an opportunity presents itself, I will ask, “Will doing this make me more healthy or less healthy?” There are lots of studies that show one glass of wine is healthy for you, but I’d have a hard time getting a second glass of wine past my test! Our intentions are what help us stay on track as we go through the year and make choices. Last year, my intention was to engage. 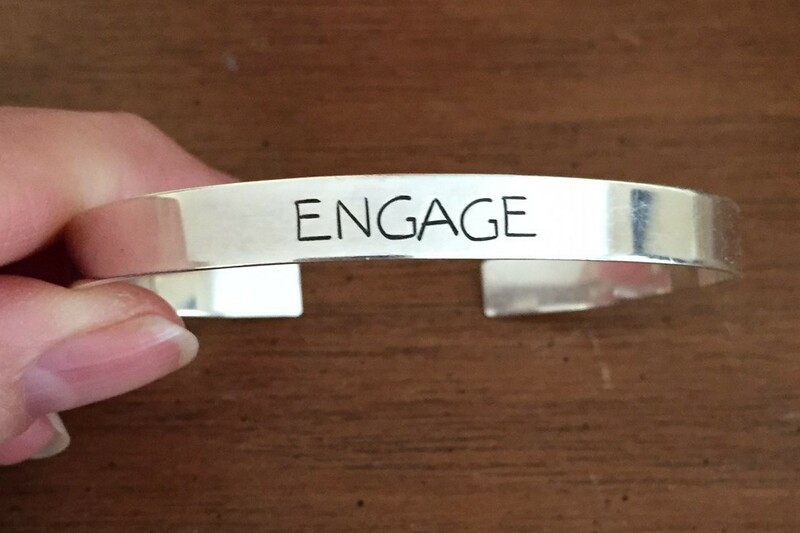 I ordered a small silver bracelet engraved with “ENGAGE.” I am a Star Trek Next Generation fan so it had an extra fun meaning; it’s what Captain Picard says when he wants the ship to get moving. Last year, my resolution was to get out more; my goal was to create a business and personal community; and my intention was to engage. Together, the three together helped me stay on track and achieve my goal. One of the great things about an intention is that it’s a short-term structure to help you move ahead on a current priority. Next year, you can pick a new one! You can pick a new one each month or every six months. An intention is just a decision helper; something to remind you of what is important to you right now and what you want to achieve. As we finish up January, it’s important to have a clear picture of where we want to go in 2017. 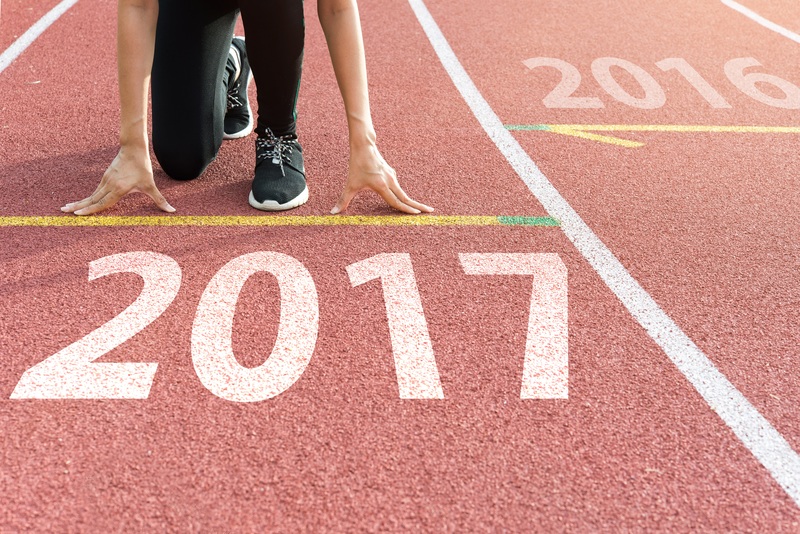 Use resolutions, goals, and intentions to help us get there. Our Gremlins’ job is to keep us safe, and they take it very seriously. They want us to live a life as free from pain and disappointment as possible. If we follow our Gremlins’ advice, we live a small life with few risks. We don’t take chances on life, career, or love. The less we expect or want, the less disappointment we experience. Our Gremlins often pop up when we are setting goals. If we set an audacious, exciting goal, our Gremlins might say, “You can’t reach that goal. You will be disappointed. You should make a smaller goal.” Remember, our Gremlins’ priority is safety, and they don’t care if their advice leads to a stagnant, boring life. Besides, living a disappointment-free life is impossible. Things don’t always go according to plan. Even if we try our best to avoid embarrassment, we are going to goof up in public now and then. Embarrassment, disappointment, and failure are important parts of life! We learn and grow from adversity. Each unpleasant event that we overcome helps us to face the next challenge better. We need to explain this to our Gremlins. When making goals, take your Gremlin by the hand, and lead it into another room. Say, “Thank you for trying to keep me safe. I appreciate that. However, I’ve got this.” Then leave the Gremlin alone in the room and go write some goals. 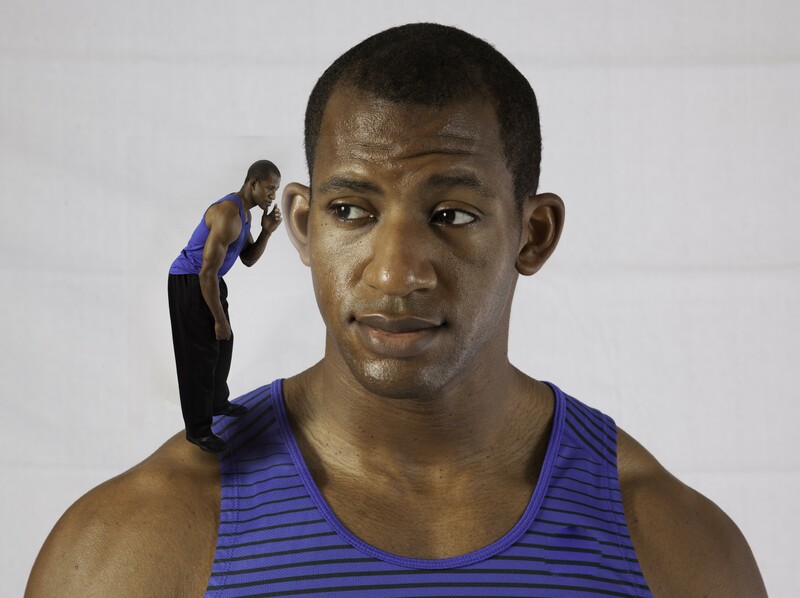 We want our goals to be attainable, but we also want them to be a bit of stretch. A great goal feels a little bit scary but exciting. A good goal will definitely make your Gremlin nervous, but you can do it! Creative visualization is a great way to define and check your goals. First, think of a warm light starting at your head and slowly moving down your body to your toes. As the light passes down your body, it relaxes all the muscles. Next, take a few deep breaths. Feel a great calm and peace surrounding and supporting your body. Now picture one of your goals. Create a scene in which you’ve already achieved your goal. For example, if you want to lose weight, picture yourself putting on an outfit that you love and that shows off how fit you are. Imagine all the activities that you enjoy now that you have attained your ideal weight. Have conversations with people you know and hear them commenting on your accomplishment. If you want to graduate at the head of your class, see yourself taking a test and knowing all the answers. See the instructor handing back the , congratulating you on your outstanding performance. Visualize yourself standing behind the podium at graduation, giving a scintillating speech. See the reactions of the faces in the crowd. 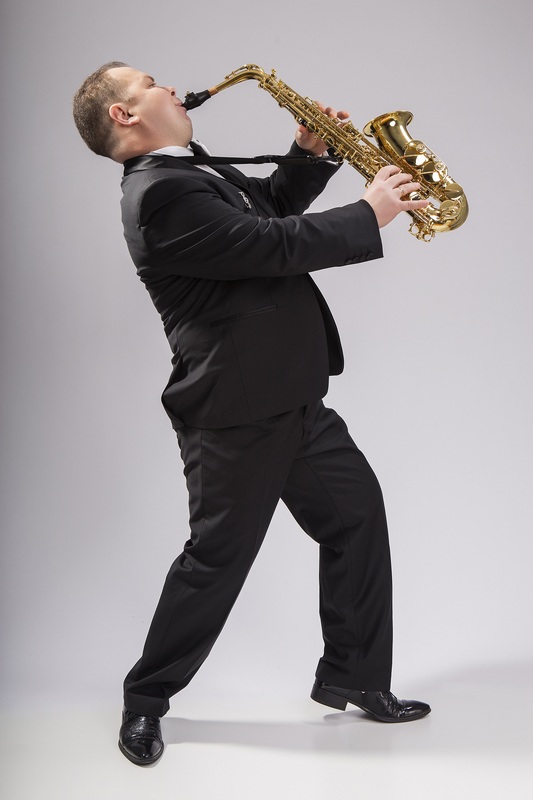 If you want to learn to play the saxophone, see yourself wailing on one. Visualize yourself in front of a crowd at a concert. Feel the cool of the metal turn warm in your hands as your performance heats up. You get the idea. Make your vision as detailed as possible. Include smells and sounds. Take as much time as you need. It’s important to see your goal as if it has already happened. Everything starts out as a thought. You have to think of something before you can make it happen. You must think, “I’m going to build a birdhouse,” before you can create it. Thinking about something is the first step to creating it. Making your goals “real” in your mind is the way to begin achieving them. A very clear vision of what we want to achieve can also help us stay motivated. When our energy level gets low and we begin to feel that we can’t go on, it’s time to pull out our visualization to remind ourselves what we are working for. I love January! A new year always feels like a new beginning to me. We get to decide who we want to be and what we want to focus on this year. We also have the opportunity to leave behind traits, mindsets, behaviors, and people that don’t support our goals for the year. It’s the time to wipe the slate clean and put up nice, new, neat lettering that clearly shows who we want to be this year. Happy New Year! During this time, lots of us choose to make New Year’s resolutions. These resolutions are goals; things that we want to achieve. The problem with resolutions is that we tend to start strong, but our determination slowly fades. At some point, we end up asking ourselves why we didn’t stick to our resolutions. Even if we really want to achieve a goal that resonates with our hearts, it sometimes still takes a little creativity to achieve it. Let’s say that becoming fit and lean is a goal that I really want to achieve. I know that I will feel healthier, have more energy, and keep up with my granddaughter better. However, I hate to run, and I detest crowded aerobics classes. In order to accomplish this goal, I need to get creative. Maybe I could learn a martial art or take a kickboxing class. Perhaps I could join a bike club. It could be that I just need to find a buddy to go walking with me. The key is to think creatively and find a way to accomplish the goal without forcing myself to do things I hate. Sometimes heart goals need a dose of realism attached. For example, I am physically limited in the exercise that I can do. I had brain surgery in 2009 that resulted in a few tiny platinum coils of wire being inserted into my brain. Since the surgery, if I exercise enough to break a sweat, I become ill. I get nauseous and a little dizzy. For up to a week, I will have a rocking headache. I must accept that I am never going to run a marathon or even a 5K, no matter how much I want to do so. Although those could be real, heart goals that resonate with me, I need to acknowledge who and where I am, and honor that. Trust me, I went through a huge pity party when I first figured out that I’d recovered as much as I was going to recover. I wasn’t fond of my new normal at all. However, there wasn’t a way to change my limitations. I had to work with them ad adjust my goals accordingly. I can still reach my own highest level of fitness, but it requires creativity as well as some trial and error. Since I usually work from home, I take short exercise breaks every hour or so. I use three pound weights and straps that attach to a door to do exercises throughout the day. The straps are in the bathroom so I do modified squats each time I go in there. I don’t break a sweat, so I can be dressed for the day. In addition to strength training, I try to walk 30 minutes each day. That gives my heart and lungs an extended workout at a pace that I can handle. I do have fitness goals, but they are realistic goals that I can achieve without making myself ill. Setting goals that are challenging (and a little intimidating), but also within reach can be a difficult dance best done with a partner. A life coach or trusted friend can help you sort out dreams from pipe dreams. Spending time and energy on a goal that cannot happen is an exercise in frustration and a waste of time. 1. Establish a goal that resonates with your heart. 2. Make sure it’s doable. It’s OK for the goal to feel scary and little out of your reach. However, do a firm reality check on it. One way to know if something is possible is to make sure you can do the actions needed to reach that goal. Make the goal achievable. I can’t run a 5K, but I could work up to walking one! 3. Get creative. We can overcome a lot of obstacles, both mental and physical, with a little creativity. If you feel stuck, a life coach is a great person to help you expand your awareness and create new possibilities.